Retroblog: Dark Trap is here. Retronyms present the latest Hook-enhanced sound pack, Dark Trap! Produced by DJ Puzzle, this pack is a collection of 50 loops and 50 one-shot samples for producing a trap and bass music with a dark hip hop flavor. You’ll get catchy 808s, vocal chants, sound effects, punchy drums, real analog synth drums, and wild synth hooks. 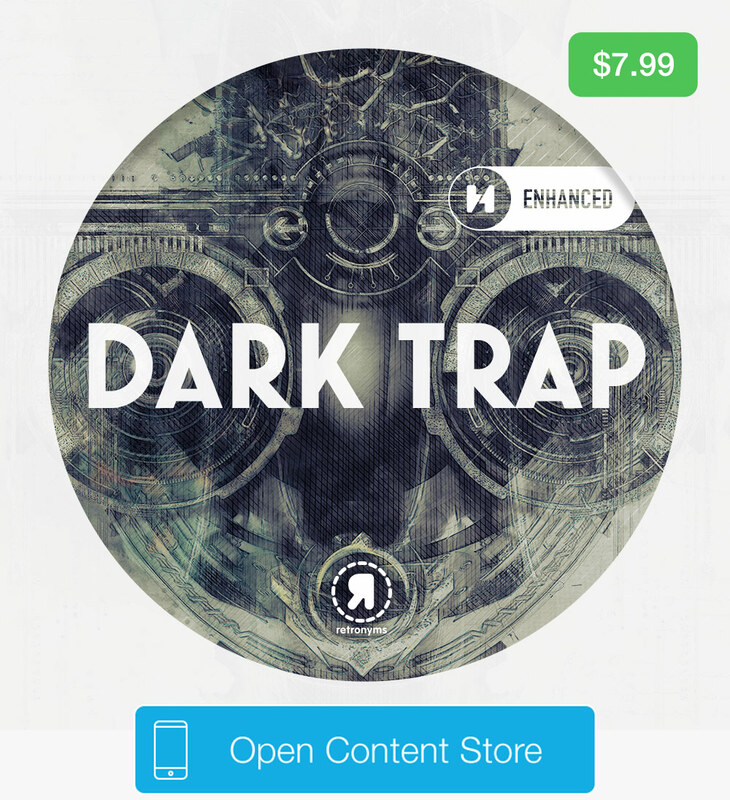 Dark Trap is available now in the Content Store for $7.99. Have you seen our other trap packs? When you're browsing in the Content Store, just sort by genre to find the pack that's perfect for you.